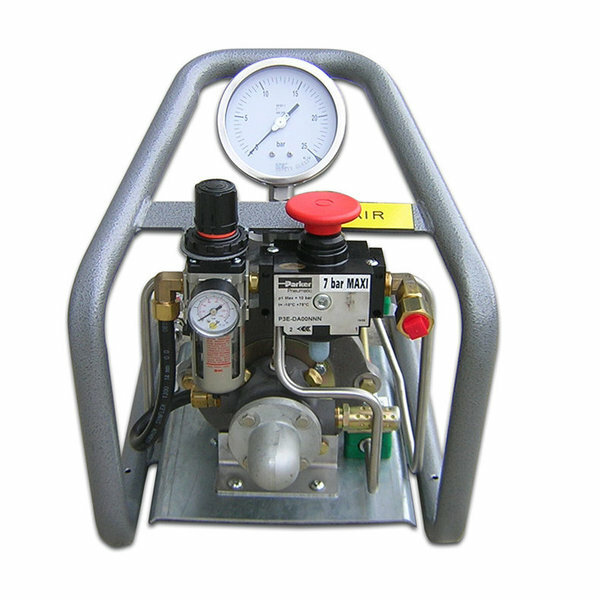 The booster provides high pressures for AIR or neutral GAS, from a workshop network or from a gas cylinder. 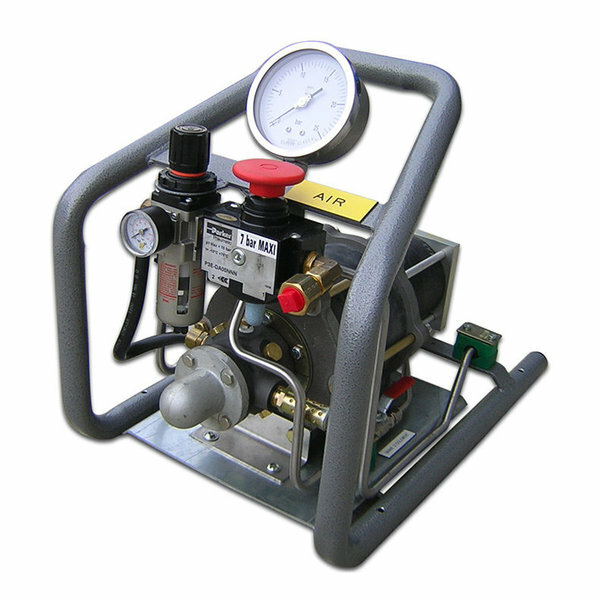 Battery charge, high pressure tires inflation, gas transfer from a cylinder to another tank. Air operating according to the principle of mechanical inversion acting on the piston cycles. Principle of differential pistons.